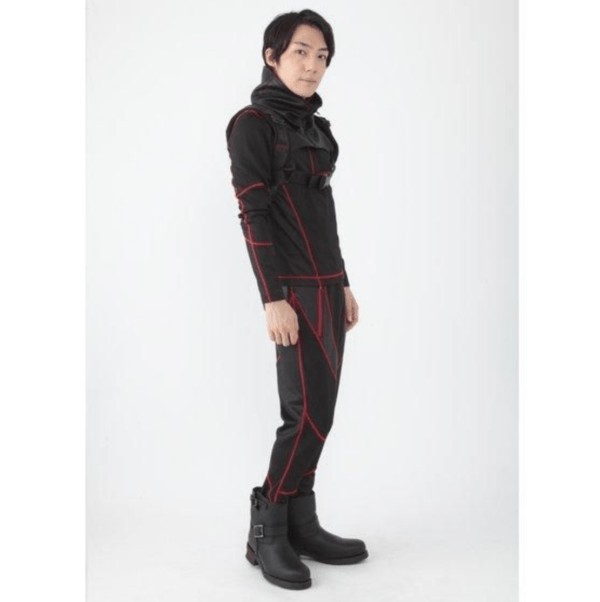 Bandai Fashion has added new character outfits to their Kamen Rider Zi-O collection featuring Geiz Myoukouin, Tsukuyomi, Woz, and the Time Jackers. 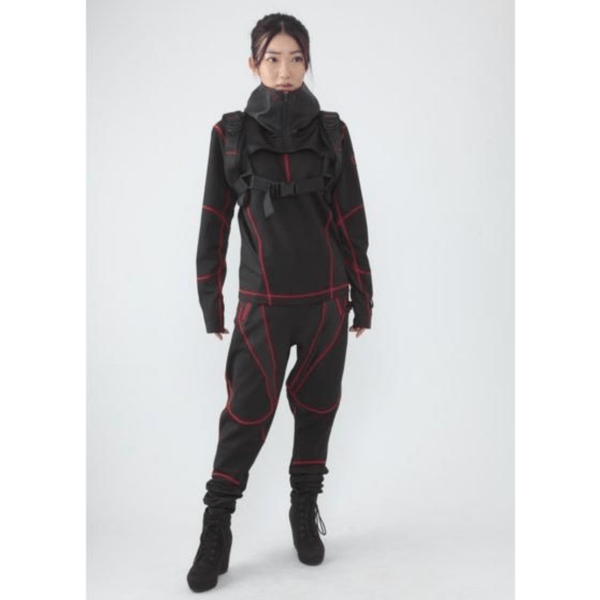 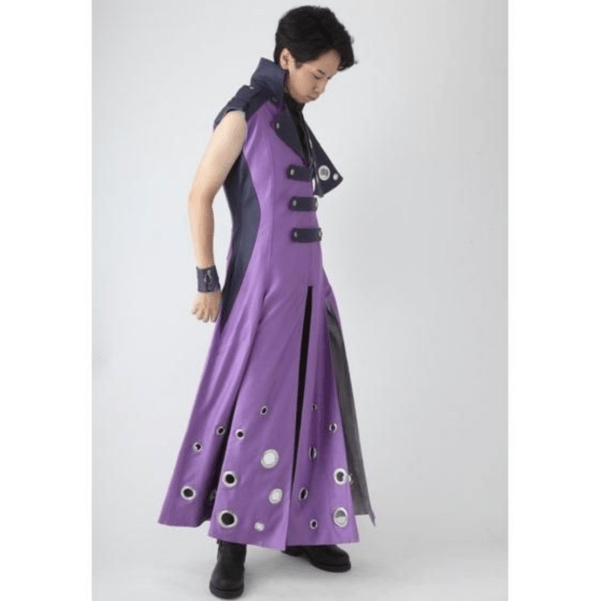 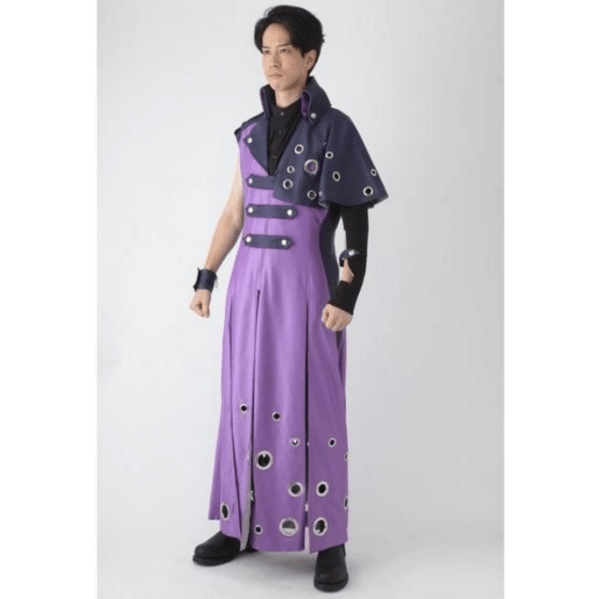 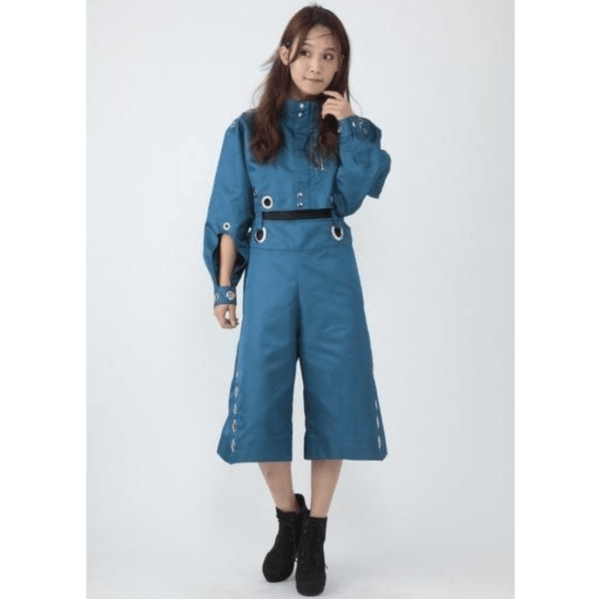 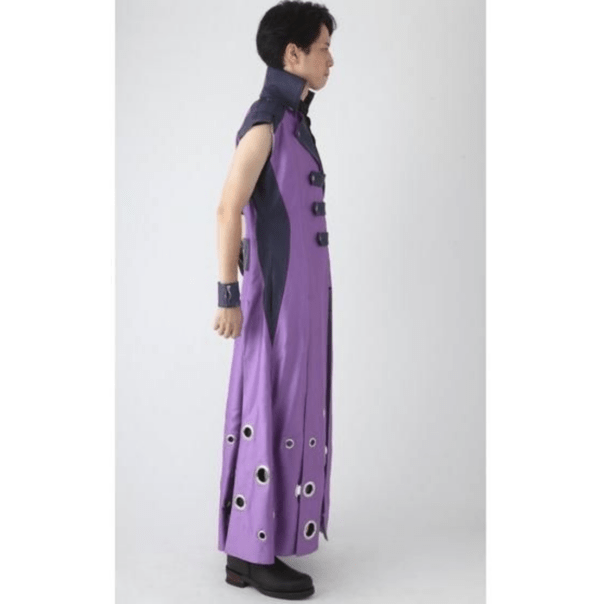 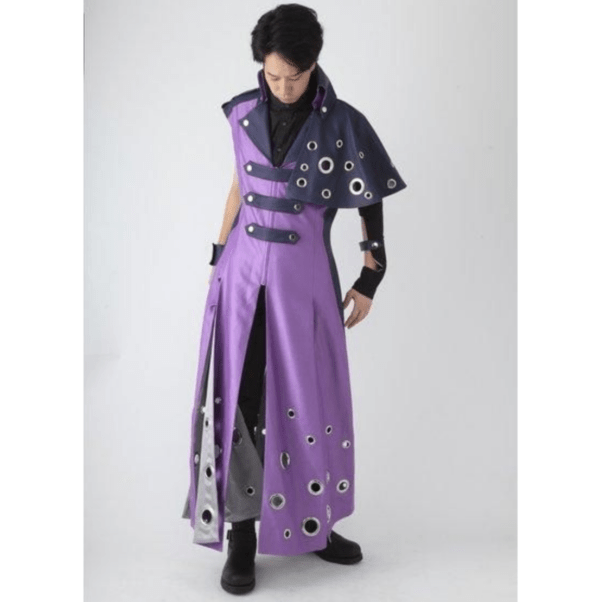 Bandai Fashion Collection’s website has added the character outfits for Geiz Myoukouin, Tsukuyomi, Woz, Uhr, Ora, and Shwartz. 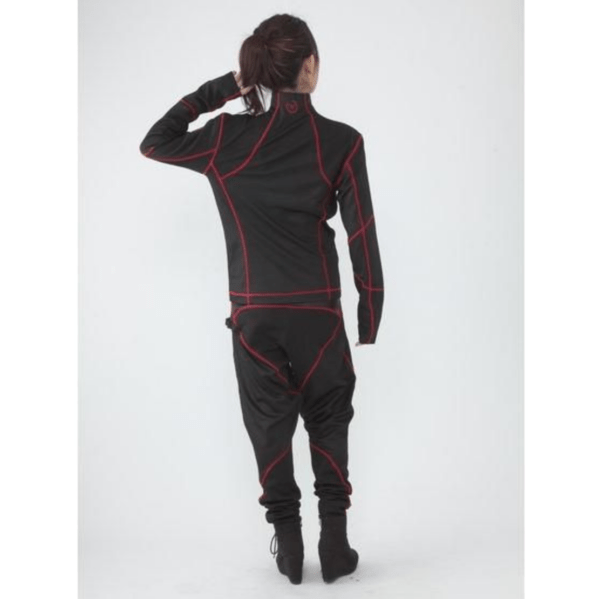 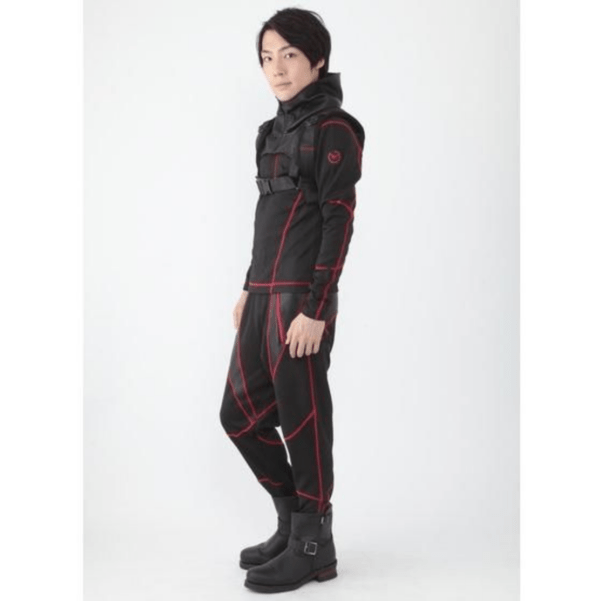 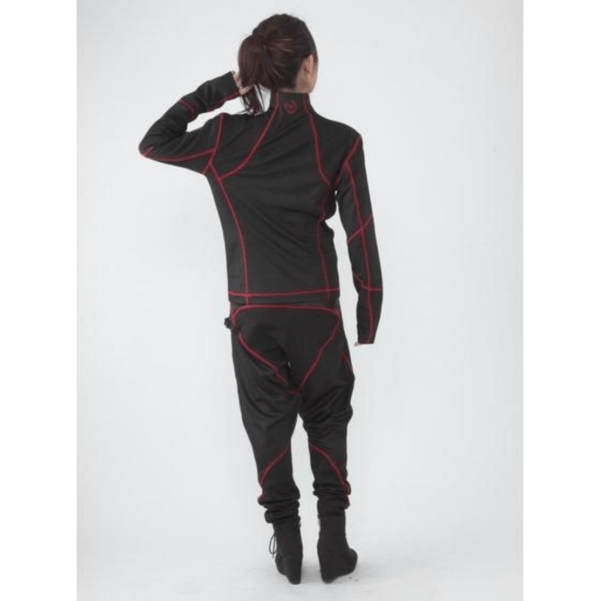 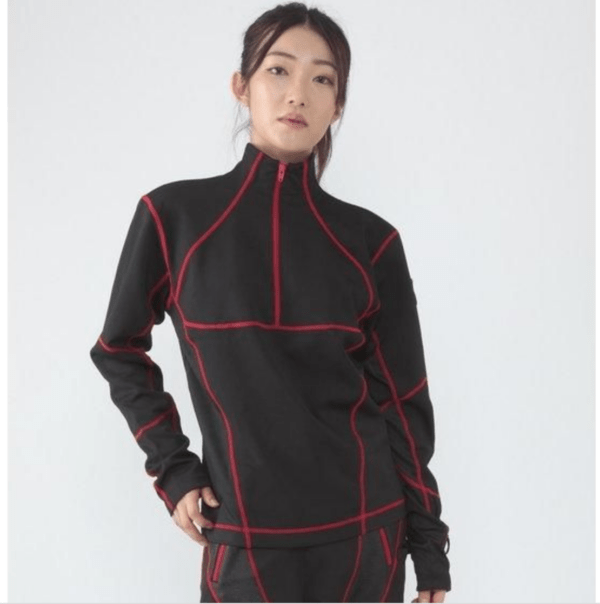 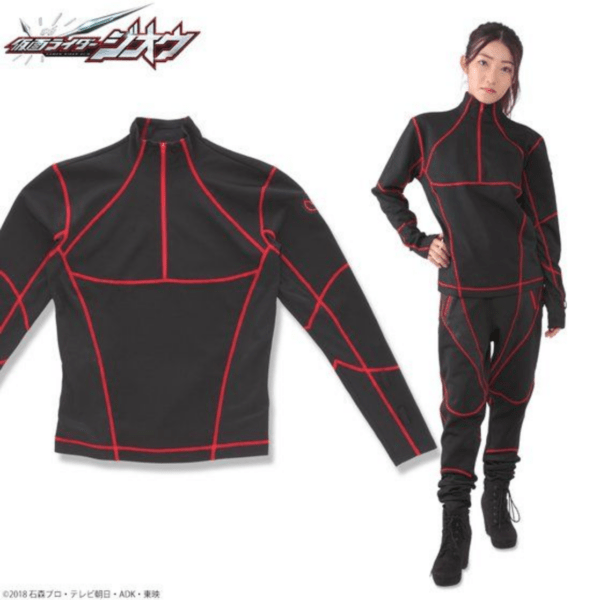 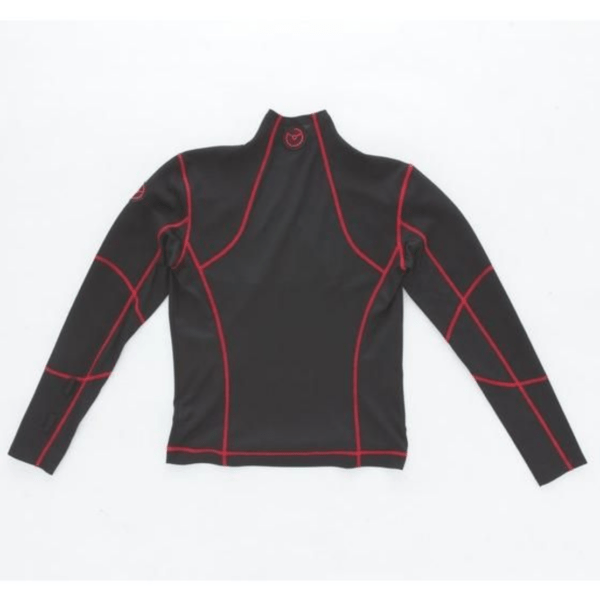 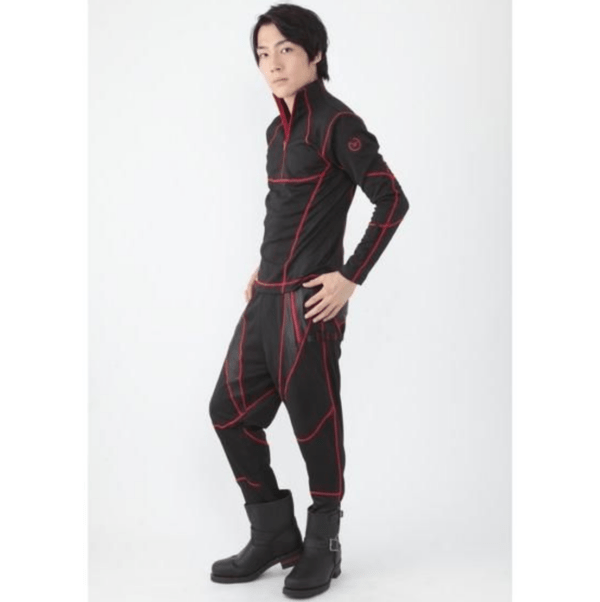 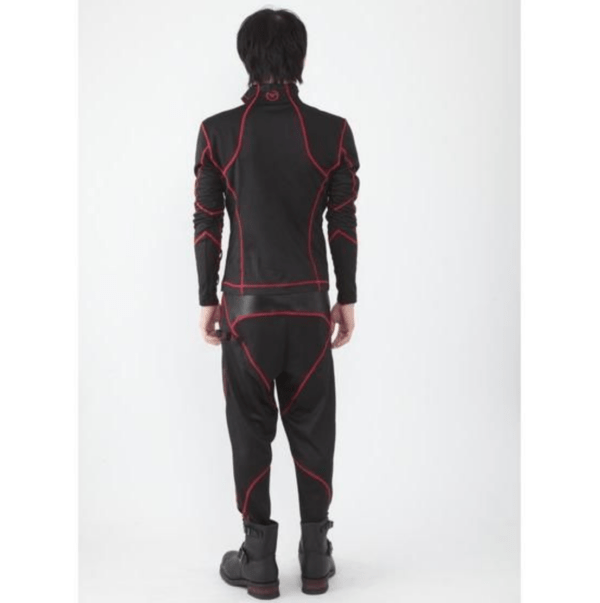 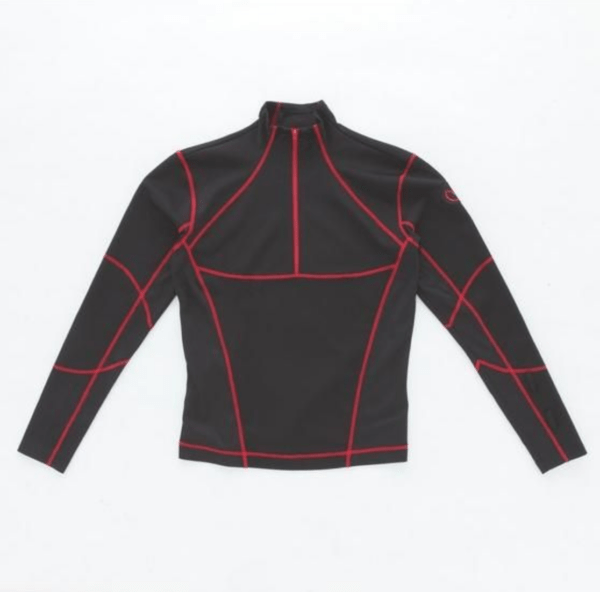 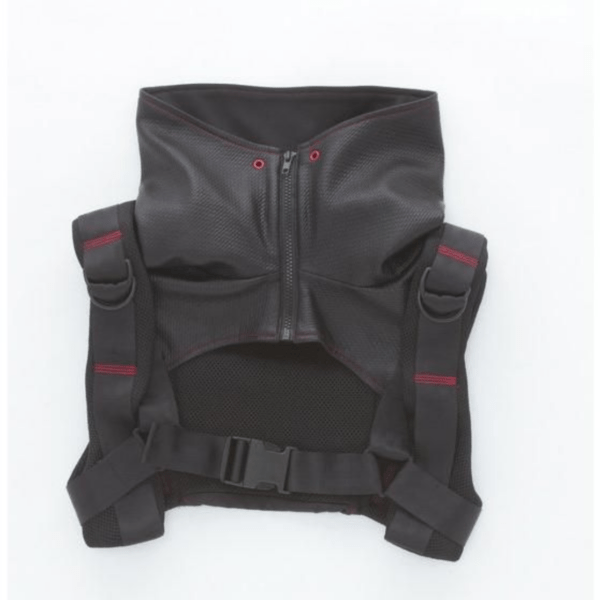 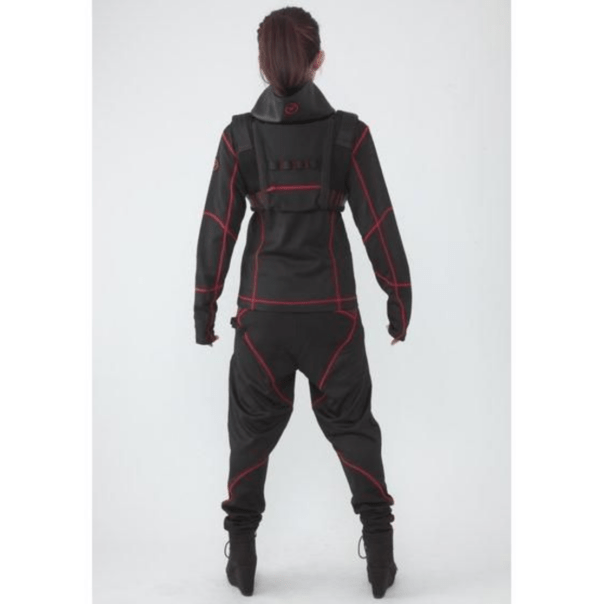 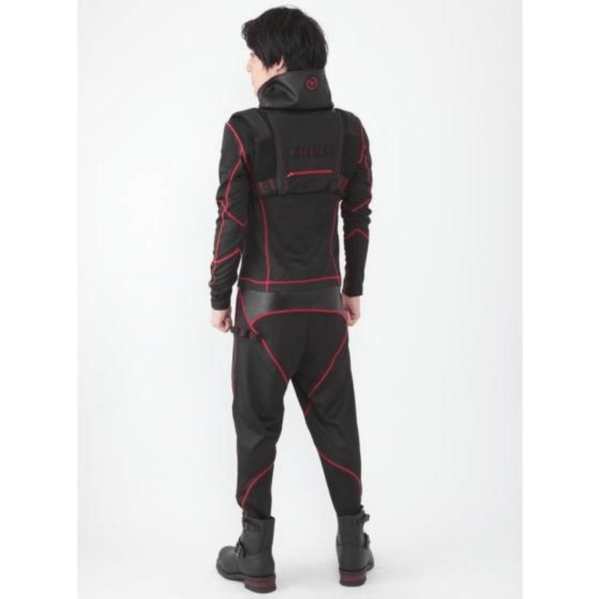 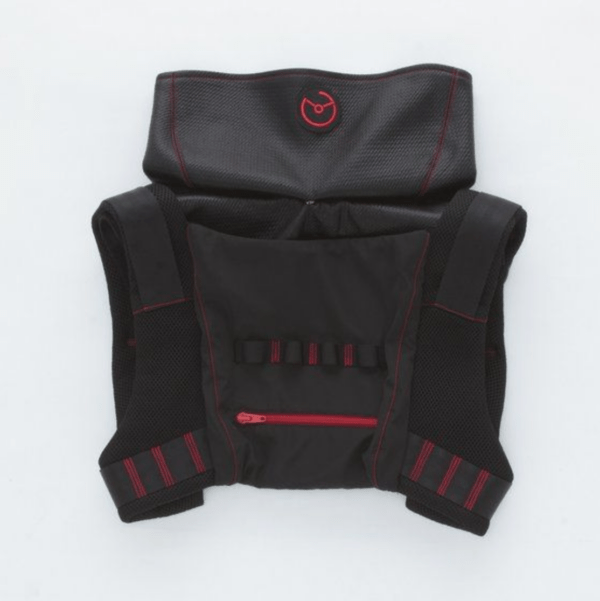 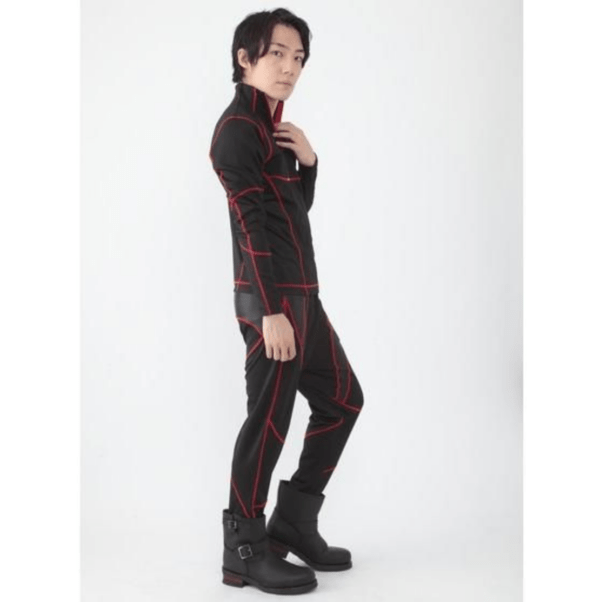 Geiz Myoukouin’s outfit is comprised of a black and red long sleeve shirt (with Geiz’s mark attached to the left sleeve and the back neck), black and red long pants, and a harness (an embroidery patch of Geiz’s mark is attached behind the hood). 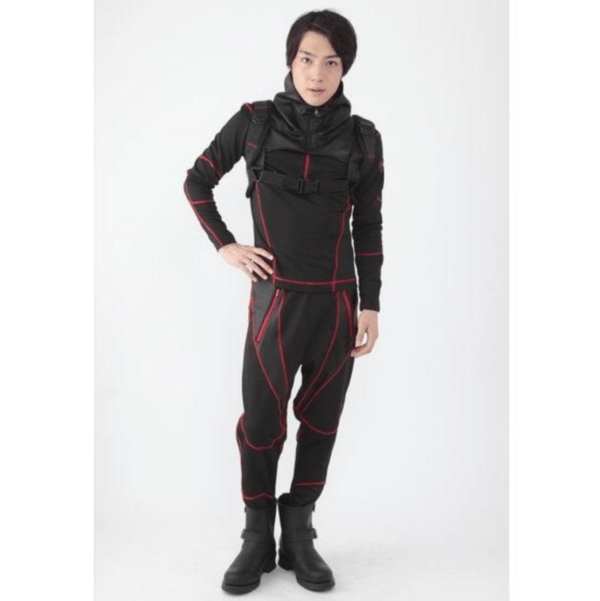 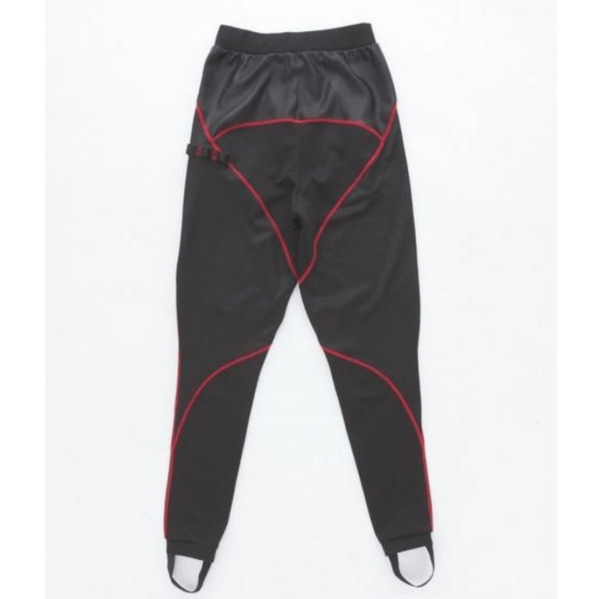 Geiz’s black and red long sleeve shirt will go for ¥10,800 (tax included), Geiz’s black and red long pants will go for ¥11,880 (tax included), and Geiz’s harness will go for ¥16,200 (tax included). 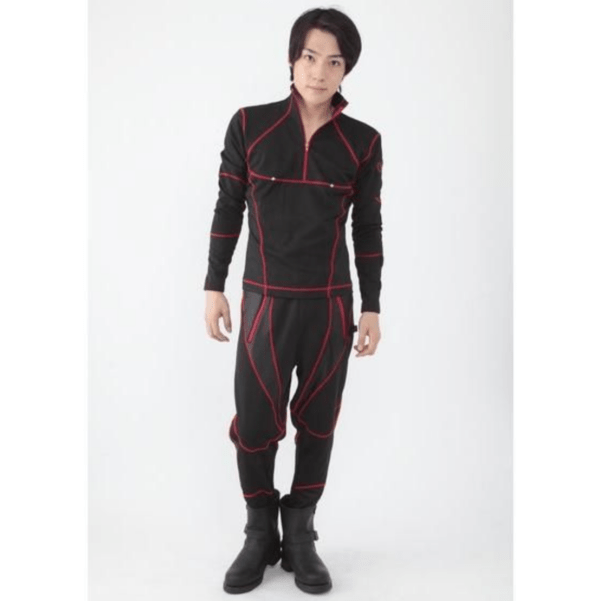 Geiz’s black and red long sleeve shirt and long pants will come in M (US S), L (US M), and XL (US L). 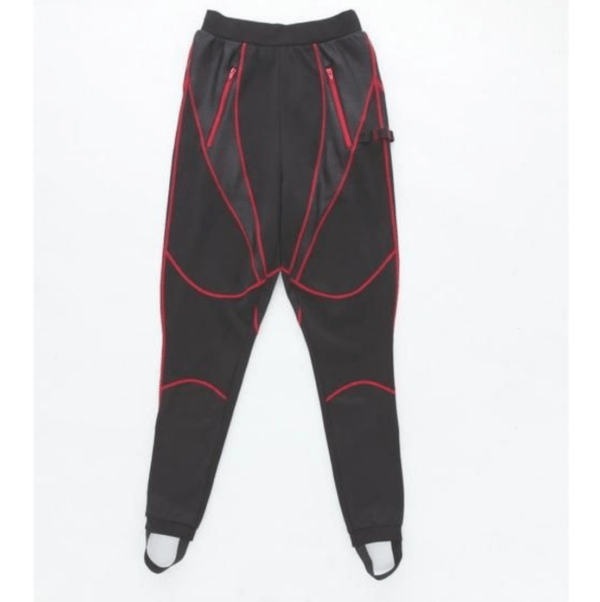 Preorders are being accepted now. 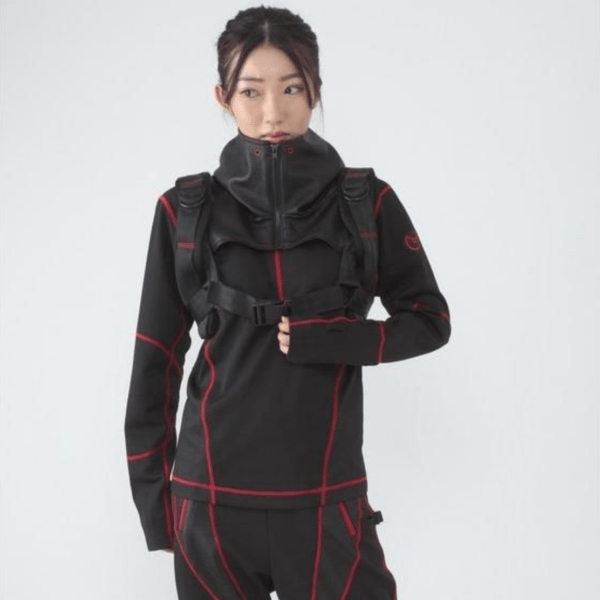 All three are scheduled for shipment in December 2018. 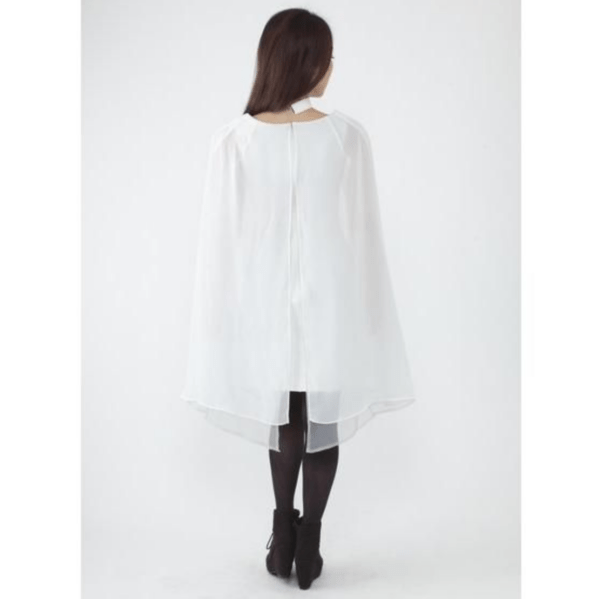 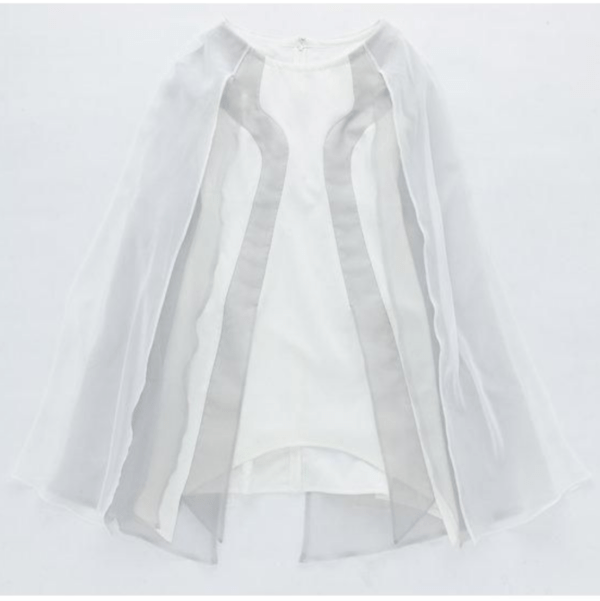 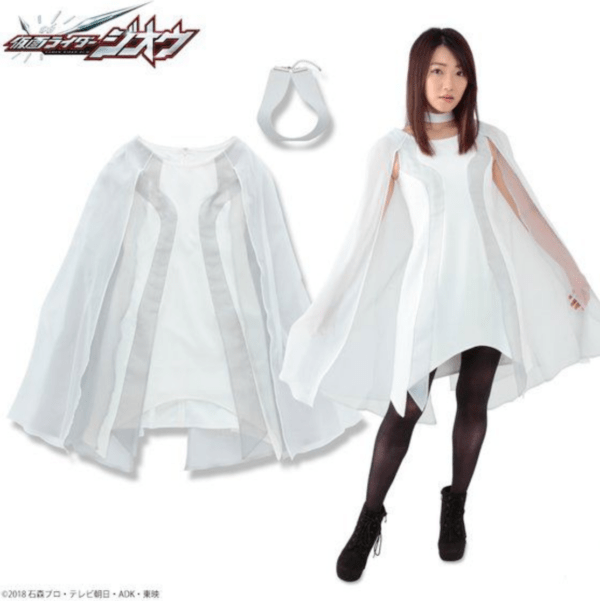 Tsukuyomi’s outfit set is comprised of a white choker and a white one-piece dress (with cloak attached). 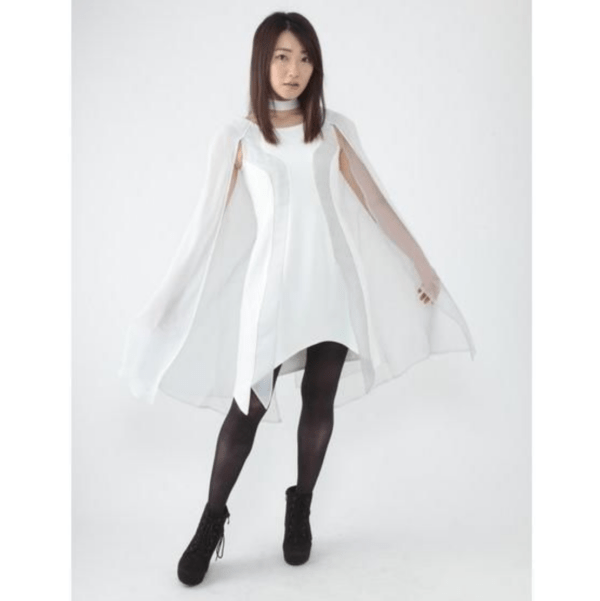 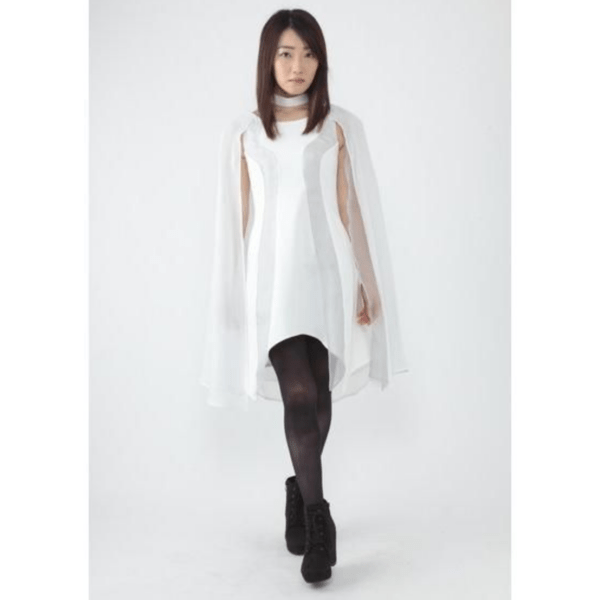 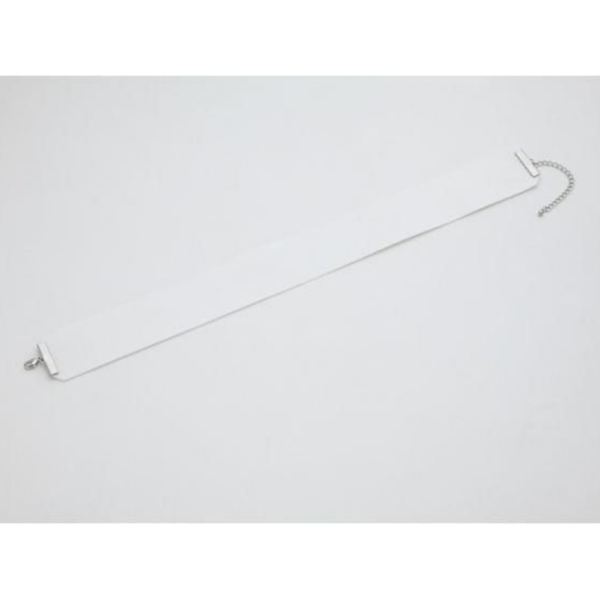 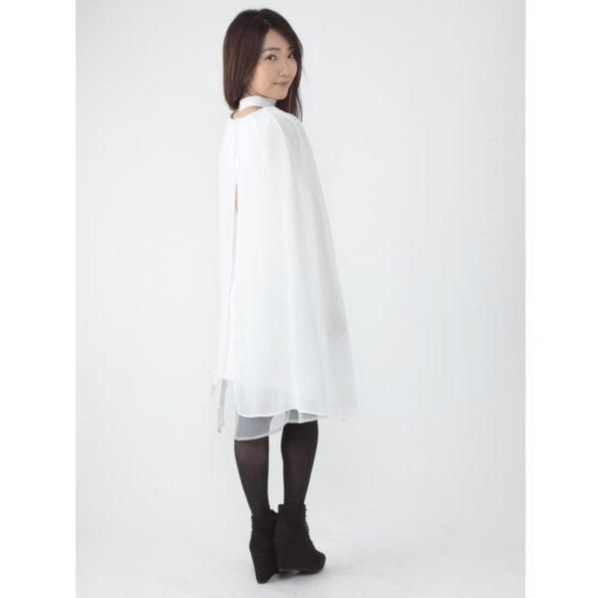 Tsukuyomi’s white choker and one piece dress set will go for ¥22,680 (tax included). 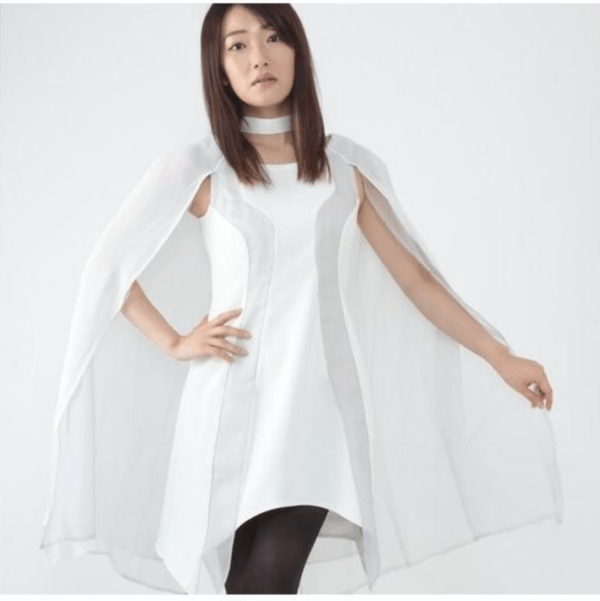 The one-piece dress will come in women’s sizes S, M, and L. Preorders are being accepted now and shipment is set for December 2018. 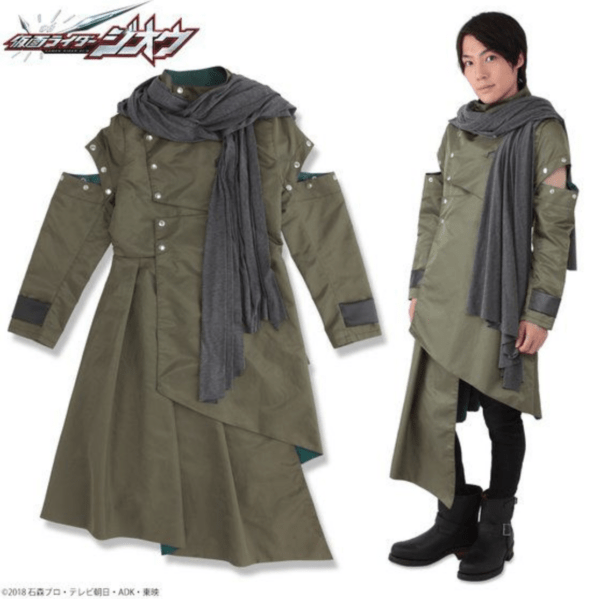 The outfit set for the mysterious prophet, Woz, features a swamp green long coat and a grey scarf. 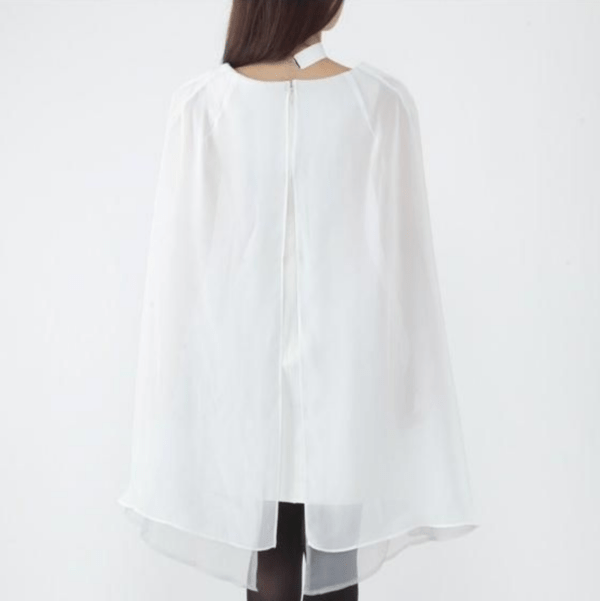 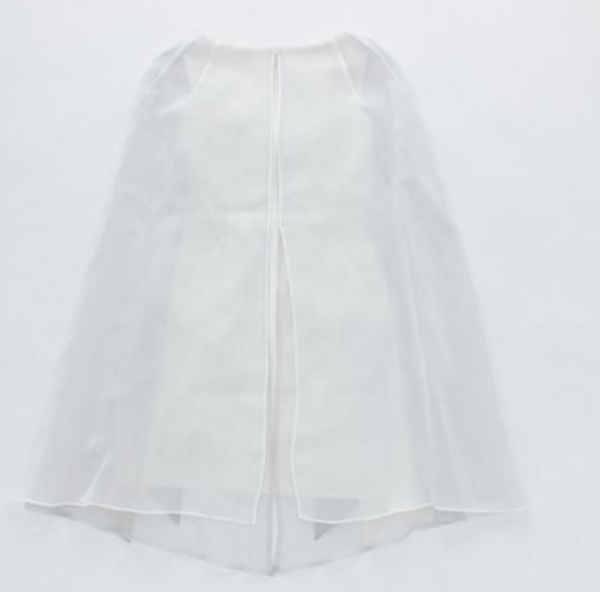 The hem of the long coat contains a flare like a skirt while the skin can be seen on the arm of the sleeves. 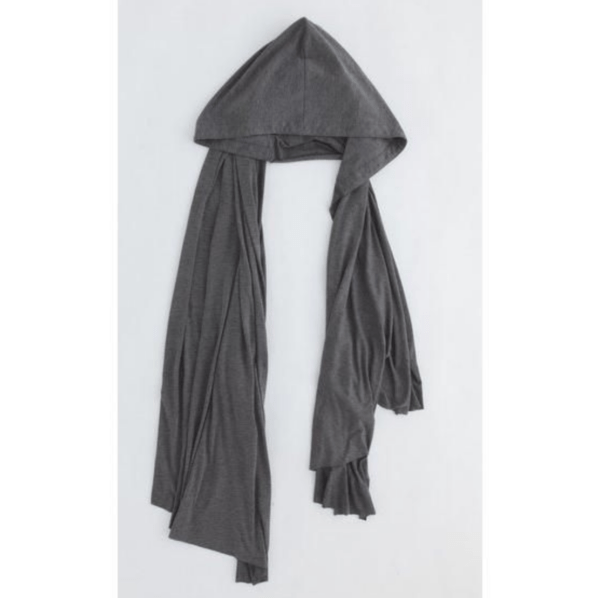 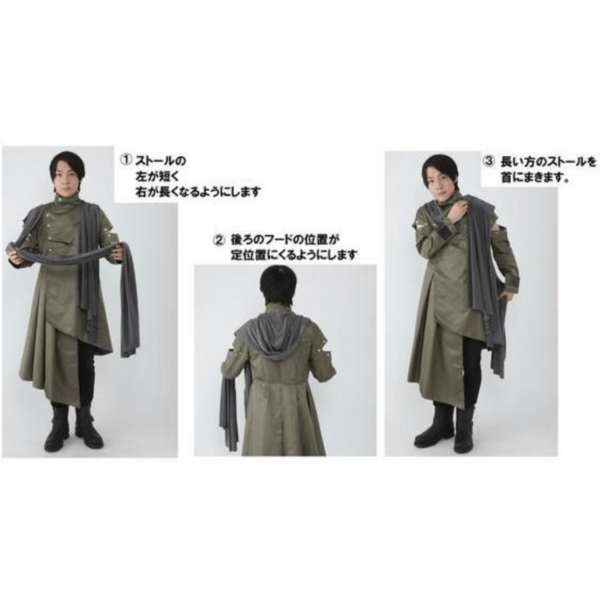 The scarf also contains a hood attached to it. 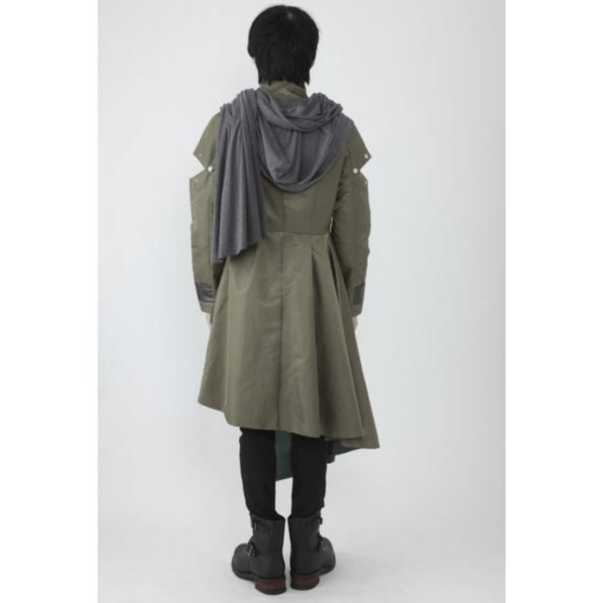 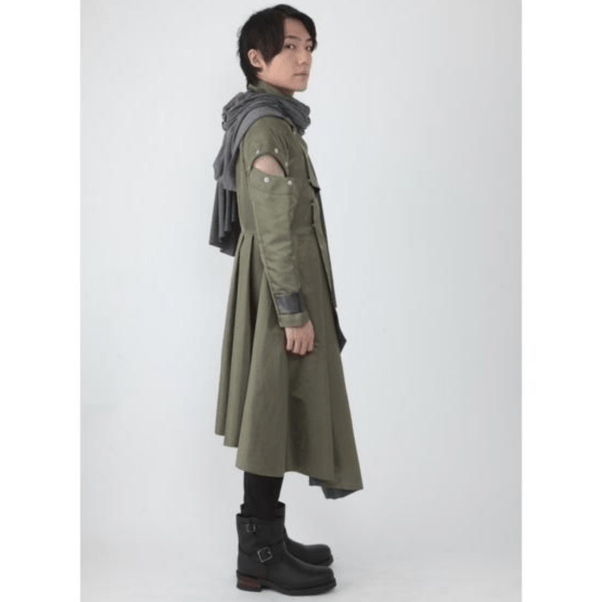 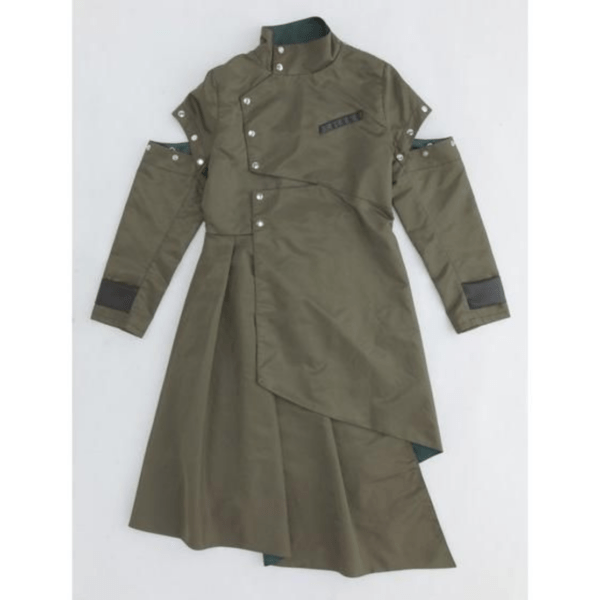 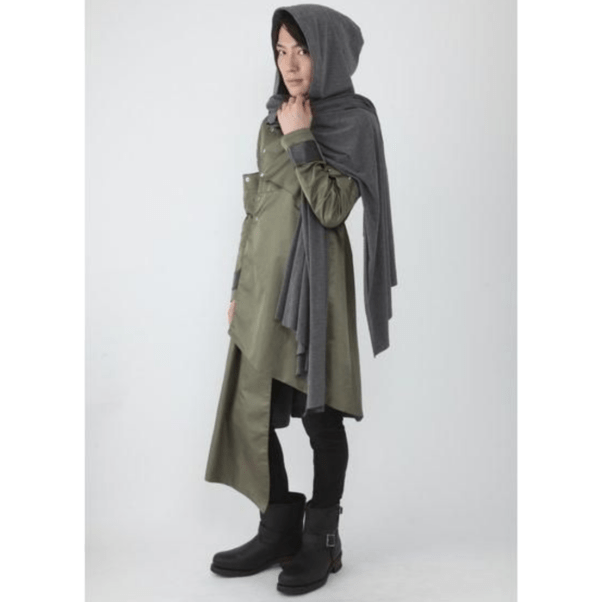 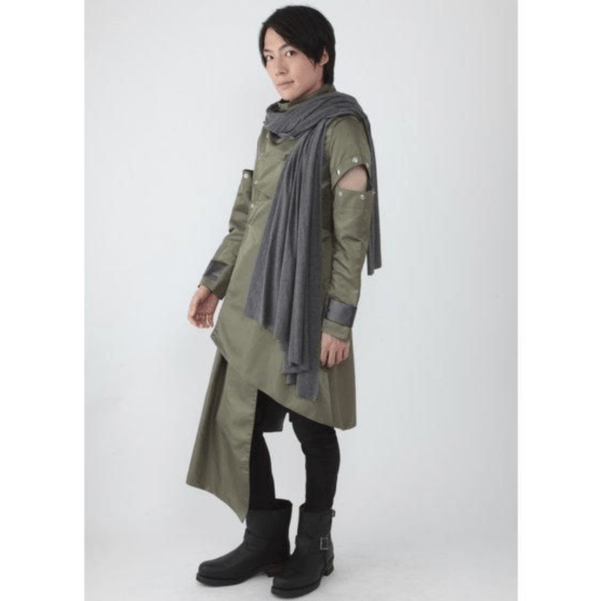 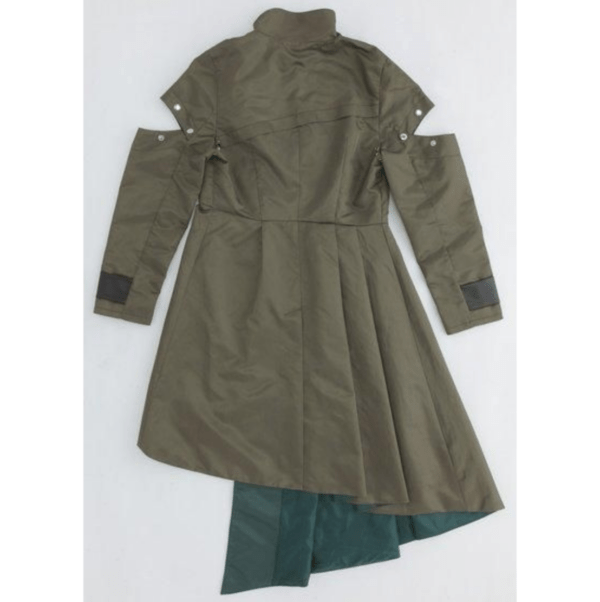 Woz’s swamp green long coat and grey scarf (with hood) set will go for ¥30,240 (tax included) and will come in S (US XS), M (US S), or L (US M). 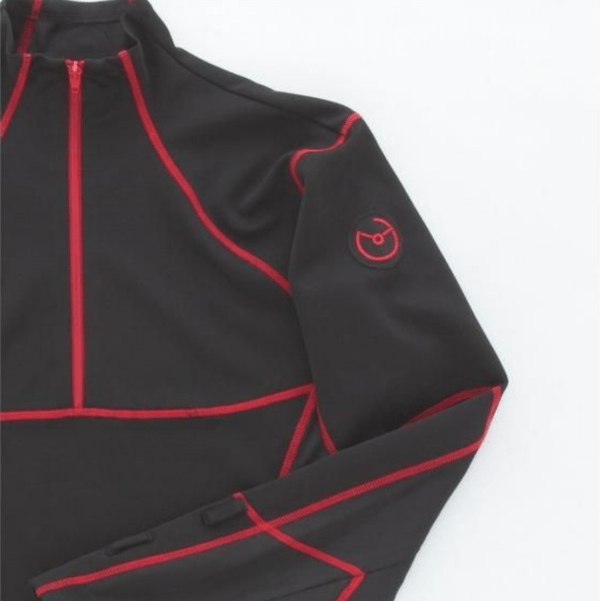 Preorders are being accepted now and shipment is set for December 2018. 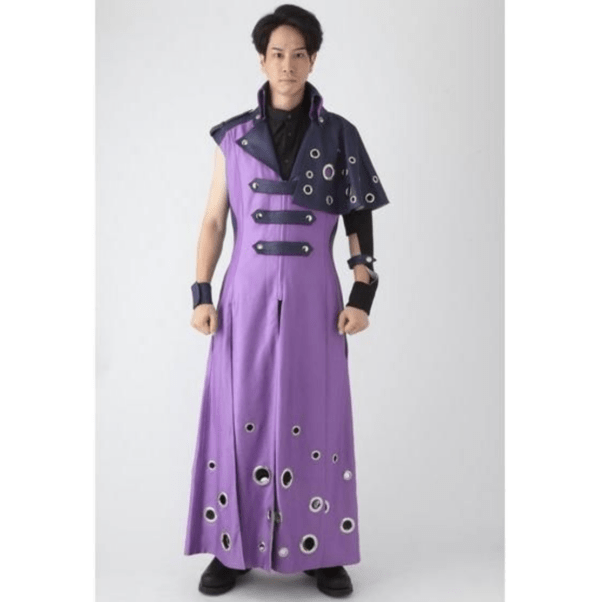 Next, we have the outfit set for the leader of the Time Jackers, Uhr. 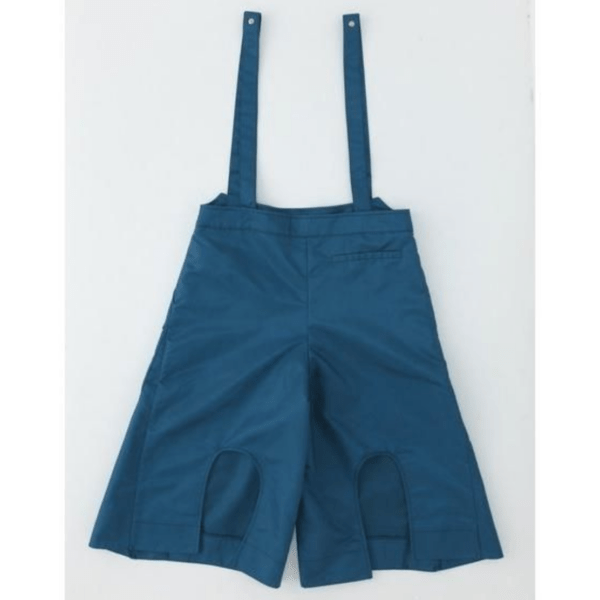 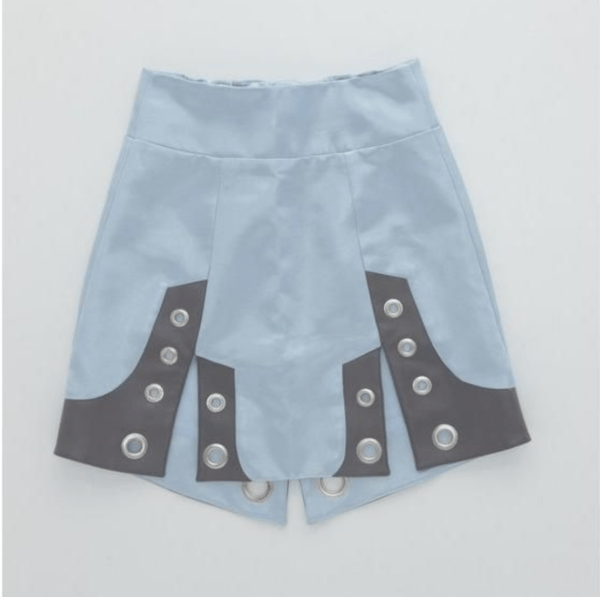 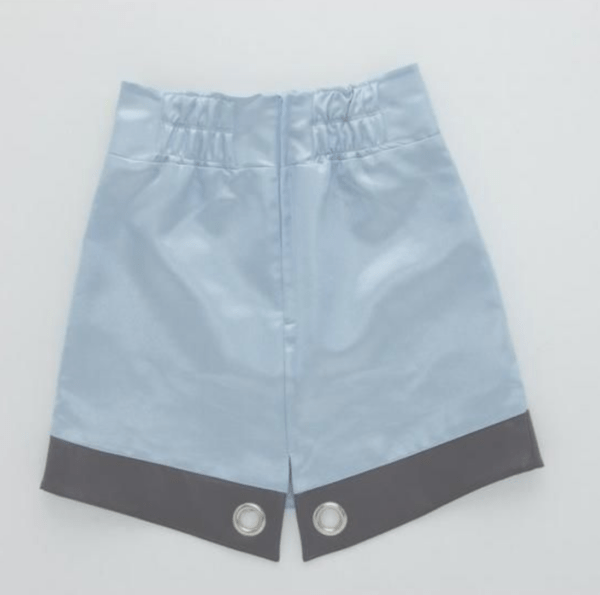 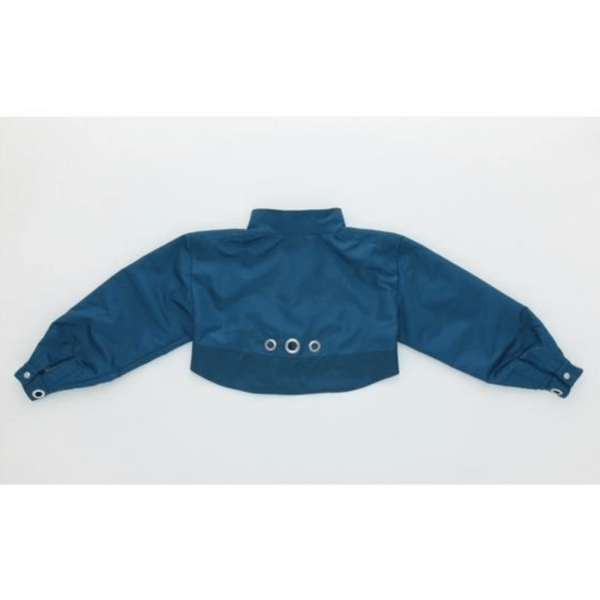 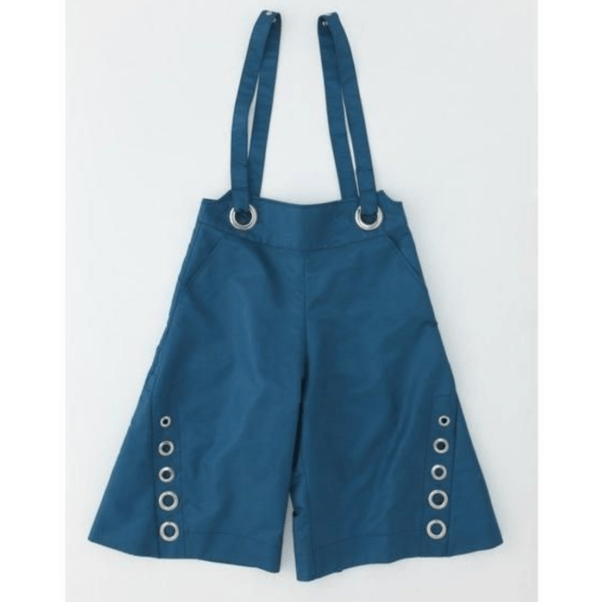 This set includes a blue short length jacket and blue salopettes. 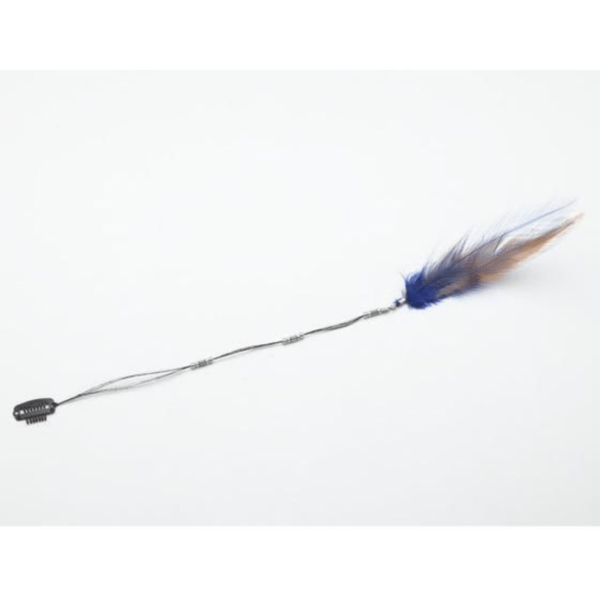 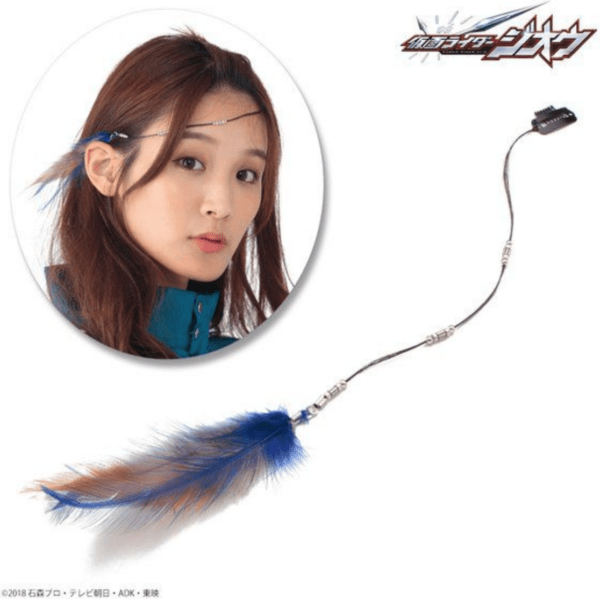 There is also a blue feather hair ornament that is sold separately. 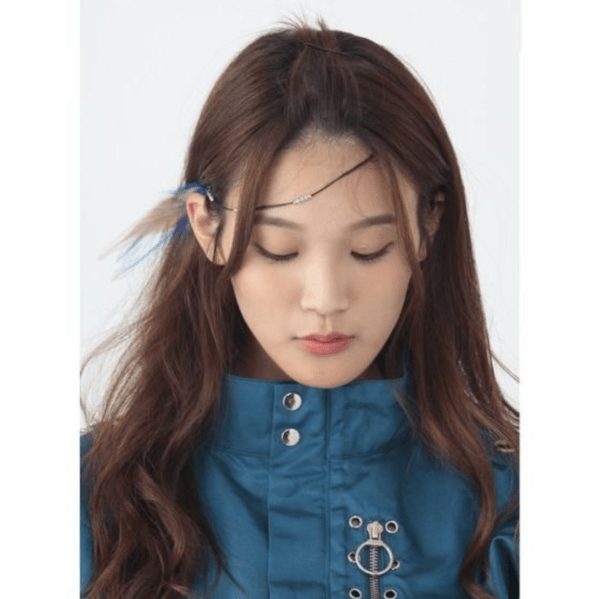 The Uhr blue short length jacket and blue salopettes set will go for ¥32,400 (tax included) while the feather hair ornament will go for ¥4,320 (tax included). 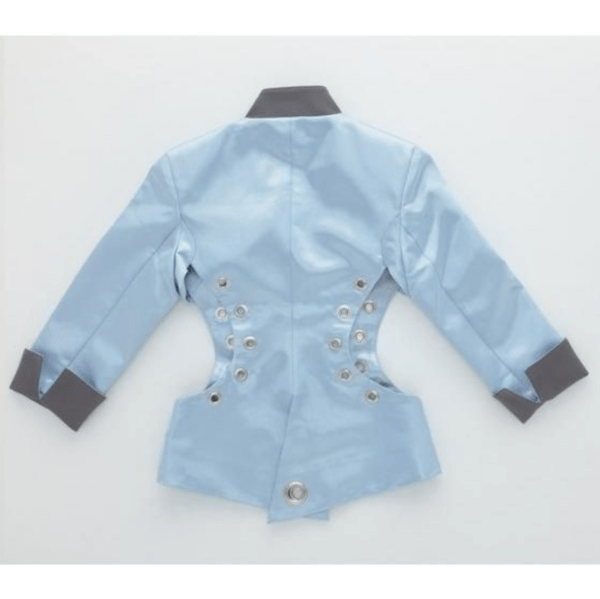 The short length jacket and salopettes set will come in women’s sizes S, M, or L. Preorders are being accepted now and shipment is set for December 2018 for both. 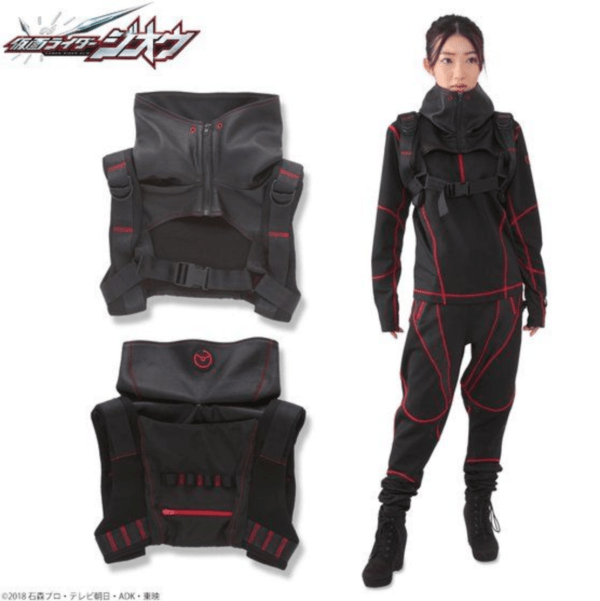 The next Time Jacker’s outfit featured is Ora. 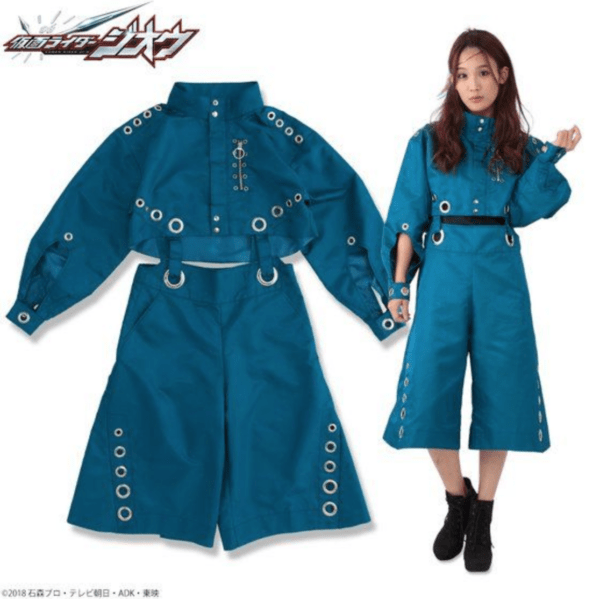 Ora’s outfit set will come with a light blue jacket and shirt. 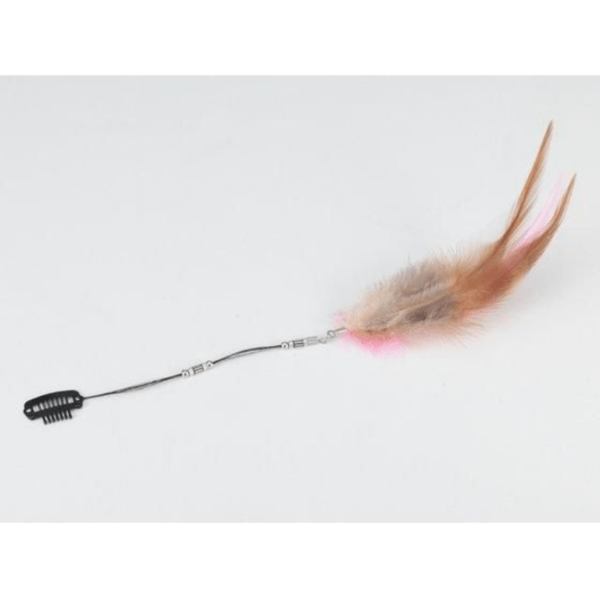 There is also a pink feather hair ornament that is sold separately. 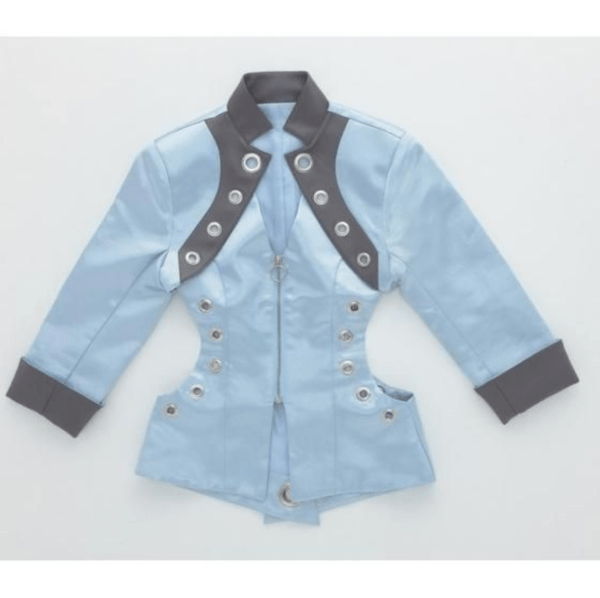 The Ora light blue jacket and light blue skirt set will go for ¥29, 160 (tax included) while the feather hair ornament will go for ¥4,320 (tax included). 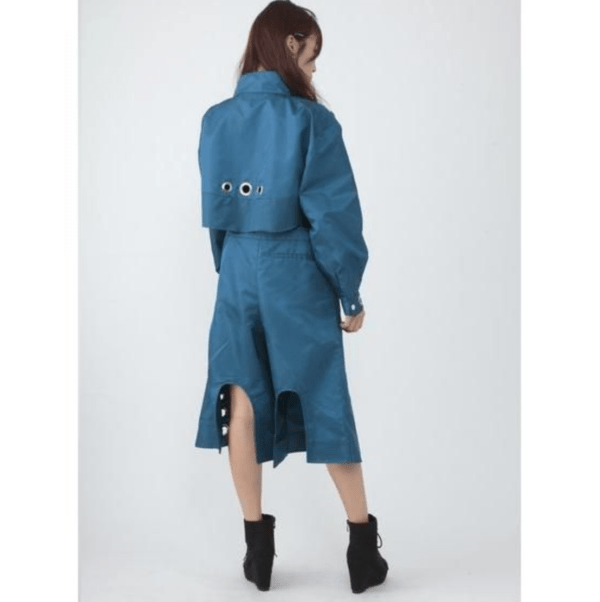 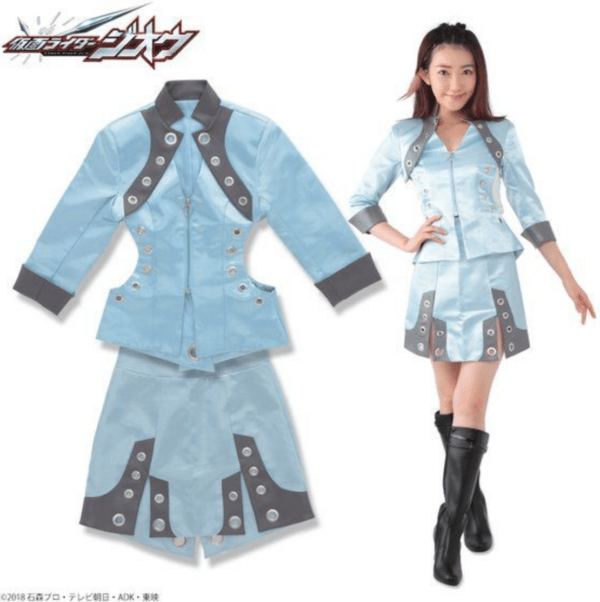 The light blue jacket and light blue skirt set will come in women’s sizes S, M, or L. Preorders are being accepted now and shipment is set for December 2018 for both. 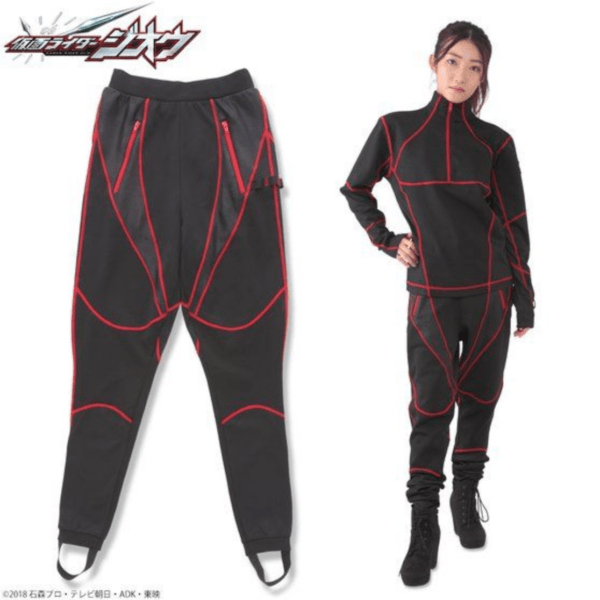 The last Time Jacker’s outfit featured is Schwartz. 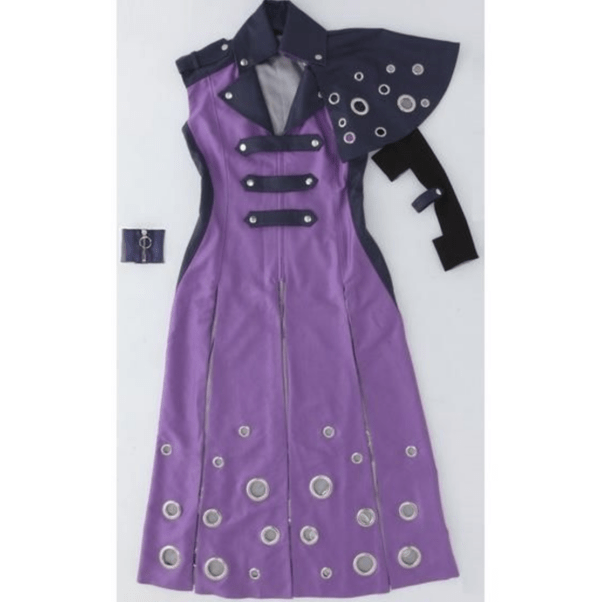 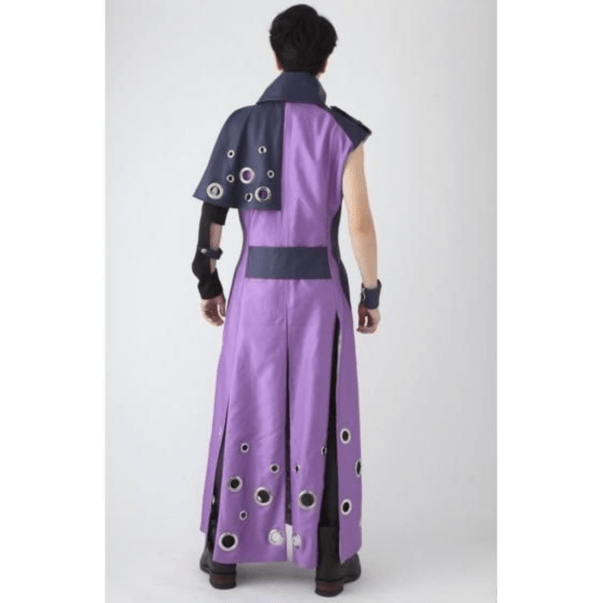 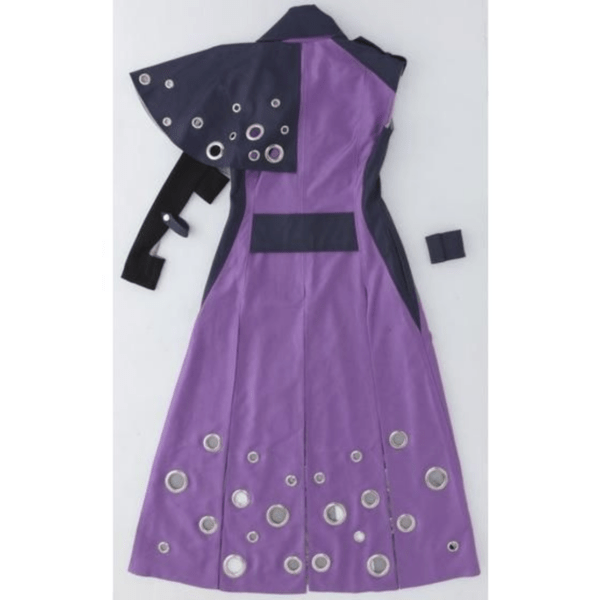 This set includes a purple one-sleeve coat with shoulder mantles as well as a cuff to go on the right wrist. 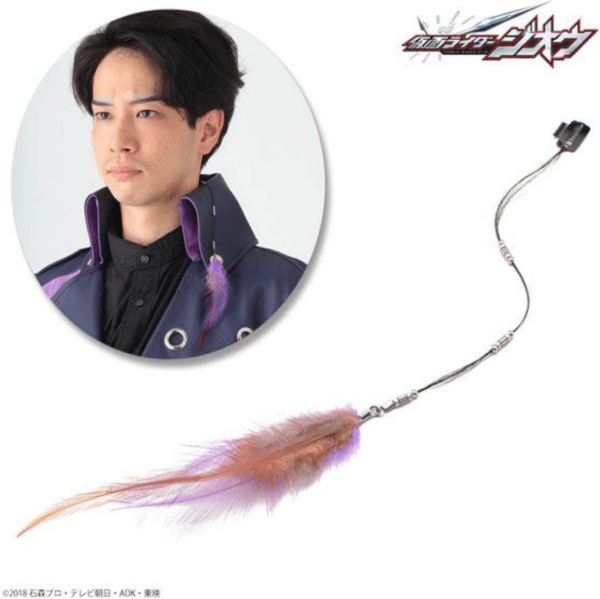 There is also a purple feather hair ornament that is sold separately. 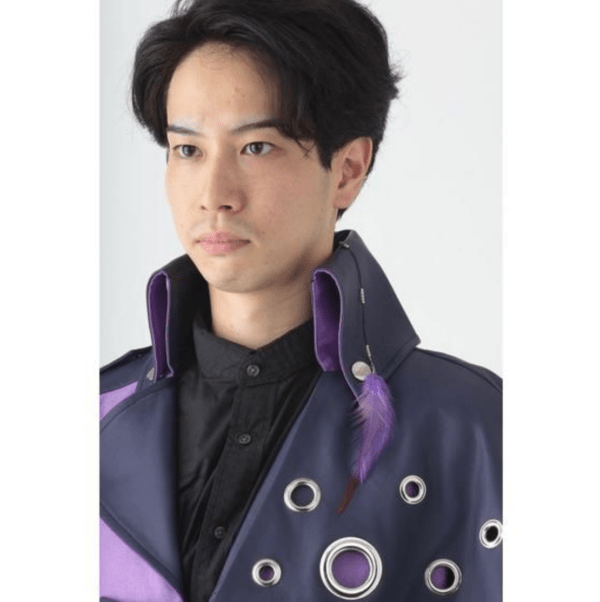 The Schwartz purple one-sleeve jacket with shoulder mantles and cuff set will go for ¥46,440 (tax included) while the feather hair ornament will go for ¥4,320 (tax included). 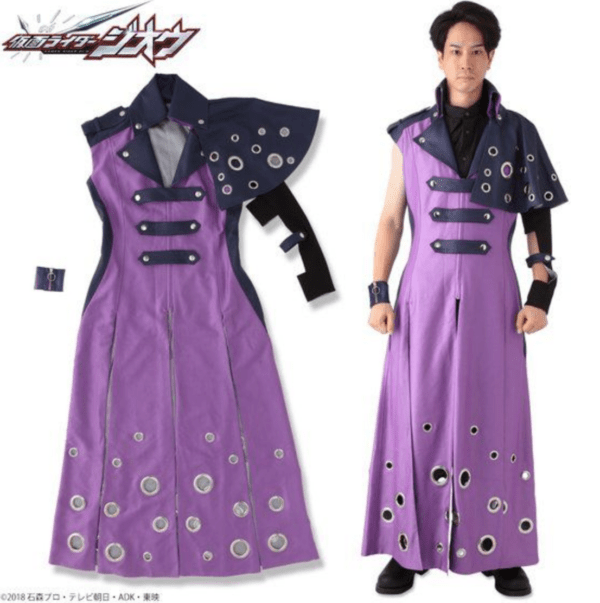 The purple one-sleeve jacket with shoulder mantles and cuff set comes in S (US XS), M (US S), L (US M), or XL (US L). 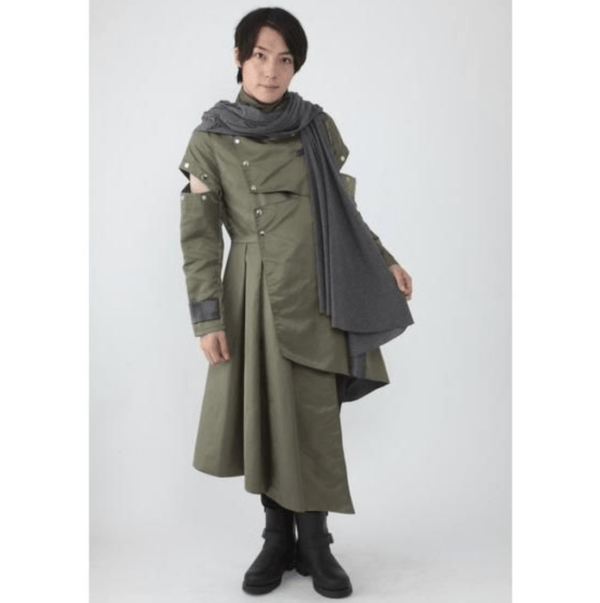 Preorders are being accepted now and shipment is set for December 2018 for both.